joetheplumber had the most liked content! X2 on the Pumpkin Seed,I never have painted one that I liked. Craw patterns are a pain as well but I don't think there is really a wrong way to do one. I love Blue Gill patterns but I think my favorite of all is a Blue Back Shad pattern I do. That's a deadly color, I recommend that everyone keeps at least 10 crankbaits this color in their tackle box..
"Reaction Innovations Method Crank". 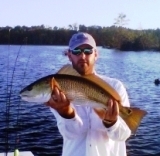 Very good lures and not easy to come by. They usually run about $15-$25 each. Dcb D65 And D87 Anyone Try Them? You get what you pay for. Those dealers selling the cheaper blanks are selling them cheaper for a reason. 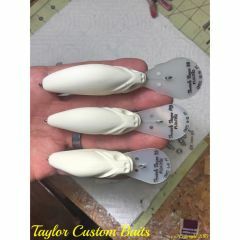 I'll be sticking with Dinger blanks myself.... And y'all just wait for those new popper blanks to get here....SWEETNESS!!! 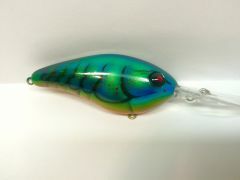 I think the 1.5 crankbait platform would be a major design to expand upon, increase durability, Flat sided models, ect... A great popper style bait that sits in the water similar to the original Rebel P70 would be another good one to have, these are fish catching machines. 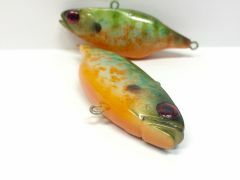 Personally I would love to see a lipless suspending/slow sinking twitch bait like the Rapala Twitching Rap or Mirrolure 17MR models, these would be very popular with the salty inshore guys on the East Coast down to the Gulf. Good luck and I look forward to the possibility of buying USA made blanks!!! Sharpie makes water based paint pens now and they work well for more than just signatures. I purchased a 3 pen set of pearl silver, pearl gold and pearl copper and use them for all kinds of stuff and haven't had any issues with them running. Like it! 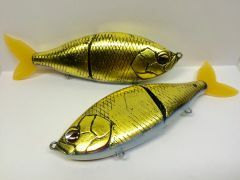 Got to get some of this foil to put on my inshore lures, them Specks and Reds love some shiny gold. I'm not sure what your regular clear coat is but you could try to apply one coat of your normal CC, scuff it up, then try dipping it in the matte lacquer clear and see what happens. Seems like I've heard the best results came from using the matte Plasti-Dip but I haven't tried it before. thanks. 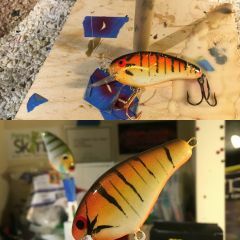 I'm working on some suspending saltwater twitch baits and I'll probably give the Art Resin a go on them and see how it does. Good stuff man. you got any plans for a wake bait? Nice! How many coats of the Art Resin did you apply?